Dynamic callout extensions, also known as structured snippet extensions, are an excellent way to enhance the appeal of your various AdWords ad campaigns and increase your click-through rates. Even though this new and improved version of call extensions aren’t clickable, they allow you to prominently showcase various services your business offers without taking up valuable space in your sitelink extensions that can be used for more important things. You can easily and succinctly advertise services like free shipping, current or upcoming promotions, product launches, and any other pertinent information about your business that will spark interest from your target audience. What are Dynamic Callout Extensions and How Do They Work? Dynamic extensions are actually an updated version of callout extensions. Google has added more advanced options so that advertisers have more control over what they want displayed in their call extensions. 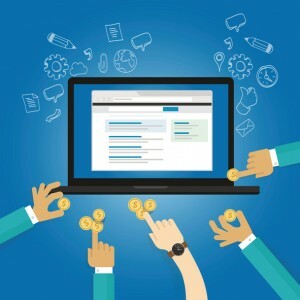 When Google originally introduced callout extensions, they would automatically extract important information from companies’ landing pages and condense it into short phrases that would appear beneath their advertisements on search engine results pages. With this new update, advertisers have the option of either coming up with their own callout extensions or letting Google continue to do the work for them (although the former is highly recommended). How Can Dynamic Callouts Benefit Your Campaigns? Dynamic callouts help to improve the performance of your ad campaigns by promoting key brand messaging and selling points that will help your company constantly stand out from your competitors. You can customize dynamic structured snippets of information you want to communicate to your existing and prospective customers that might entice them to click on your ad and purchase items from your web site. Not only can you completely customize your call extensions, but you can also optimize them for a wide range of devices including mobile phones, desktop computers, laptops, and tablets. This will make it easier for you to reach a larger scope of potential customers around the globe and expand your business to a much vaster online audience than you could’ve imagined. Always keep in mind that callout extensions are not always guaranteed to improve your click-through rates; they’re just good tools that have the potential to do so. That said, there are certain best practices you can implement when using callout extensions. Try to make them as concise and attention-grabbing as possible. Google only provides enough space for 25 characters, so it’s important to make it count. Don’t go overboard with capitals; use sentence-case formatting instead (i.e. use Free shipping, not Free Shipping or FREE SHIPPING). For some reason, this method renders more positive results. You can analyze how your ads are performing after adding dynamic callout extensions by clicking on the ad extensions tab for any one of your ad campaigns in AdWords. When you click on “View Callout Extensions” you can see how the new ad extensions, whether they’re dynamic or Google-generated, have impacted your ad performance since implementation. You can evaluate which ones are actually improving your ad performance and which ones are hindering it. Based on that data, you can make the appropriate changes. 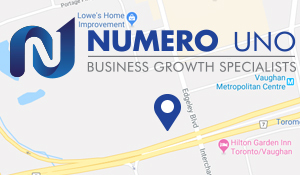 Numero Uno Web Solutions has helped numerous businesses achieve their search engine optimization (SEO) goals and improve their online marketing strategies. We extend our incomparable SEO services to companies in various Canadian cities including Toronto, Richmond Hill, and Vaughan as well as parts of the U.S including Massachusetts, Texas, and Florida. To learn more about our professional services and how we can help you establish a prominent online presence, please call us at 1-855-SEO-XPRT.